Pastor Donald L. Wilson, native of Galveston, Texas, preached his first sermon and was licensed on May 20, 1984 under the leadership of the late Rev. Vernon G. Calvin of the West Pico M.B.C. in Los Angeles, Ca. In July of 1984, under the guidance of the Holy Spirit, Rev, Wilson and his family moved their membership to Evening Star M.B.C. under the Pastorate of Dr. W.M. Brent Sr. He served there faithfully for twenty-one years in the ministry. In 1991 he became the assistant to the Pastor. Over the next fourteen years Rev. Wilson undertook various ministerial duties such as teaching the Wednesday night Bible study, Sunday school, Spiritual advisor to the male chorus. Rev Wilson received his Bachelor of Theology degree in 1992 from The Joint Baptist Theological Seminary, in conjunction with Southern California Theological Seminary. Pastor Wilson, who has a love for the culinary arts, is a retired Chef who worked for over 31 years including several years at the world famous Century Plaza Hotel and Spa. 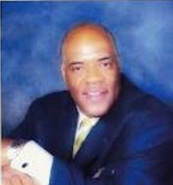 In addition to his role as Pastor of the True Way M.B.C., Pastor Wilson is also a motivational speaker/organizer, who has been honored and continues to receive recognition for his work in the area of workplace diversity and unity, a position created specifically for him by the National President of Hospitality for UNITE HERE Labor Union. Pastor Wilson has been happily married to Mrs. Elvia Wilson for the past 31 years. Pastor and First Lady Wilson are blessed with two children; Donald Wilson II, Faith Wilson and one grandson. Therefore I will keep my thought processes active and open to the Voice of God. but to a life of success. Because my God is a big God, I will think big with confidence, knowing my thoughts can never be bigger than my God.